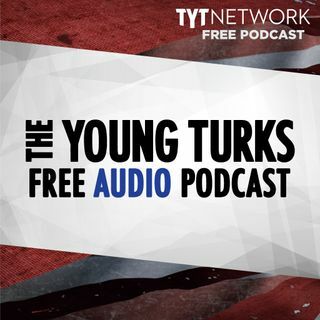 A portion of our Young Turks Main Show from January 24rd, 2018. For more go to http://www.tytnetwork.com/join. Hour 1: Segment 1 Cenk. Rush Limbaugh’s backhanded apology for supporting the Iraq War. Also, raps a conspiracy theory with it. Video of Burger King’s net neutrality ad. Evangelical leader, Tony Perkins, shares his thoughts on the radio about Trump’s sexual relations with a pornstar after Melania giving birth. Says it’s okay now because he is not like that anymore. Under fire for using ... See More taxpayer money to settle a sexual misconduct complaint from a former aide, Representative Patrick Meehan, Republican of Pennsylvania, said Tuesday that the woman “specifically invited” his intimate communications, and that he was emotionally wounded when she filed a complaint against him. Mr. Meehan denied crossing the line into impropriety, but said in an interview that when the woman told him last year that she had started a relationship with someone outside the office, he “didn’t respond to it as well as I would like to have.” He said he believed his attempt to make amends — a handwritten letter in which he called her “a complete partner to me” — was meant to be a sign of respect. “That I would find later that that was not something that she was comfortable with, really hurts me,” Mr. Meehan said. “This was a person who specifically invited communication with me so that she would be able to have the ability to be there for me.” The New York Times reported that Mr. Meehan, 62, a married father of three, had entered into a confidential agreement to settle the complaint brought by the aide, who is decades his junior. She left the office after filing a complaint alleging that Mr. Meehan became hostile after she rebuffed his romantic overtures, sources familiar with the situation told The Times. Segment 3 The future looks less sunny for the renewable energy industry after the Trump administration announced this week that it plans to tax solar panels manufactured abroad. The announcement, which came from the office of U.S. Trade Representative Robert Lighthizer late Monday, took aim at Chinese solar panel producers, whom the administration says have been selling their goods in the United States for less than their fair market value. As a result of a report by the U.S. International Trade Commission (ITC), the U.S. will now impose duties of up to 30 percent on solar equipment manufactured abroad. Such a move could damage the $28 billion solar energy industry. Eighty percent of the parts used in the U.S. solar industry are imported, and the Solar Energy Industries Association had previously projected job losses in the tens of thousands amid months of uncertainty about tax hikes. But solar panel manufacturers aren’t the only ones at the receiving end of Trump’s new tariffs. Washing machines made by South Korean manufacturers Samsung and LG were deemed “a substantial cause of serious injury” to U.S. manufacturers in the ITC report. In the first year, those products will face a 20 percent tariff on the initial 1.2 million washers imported and a 50 percent tariff on all machines after that. Those tariffs will eventually decrease to 16 and 40 percent, respectively, in three years. The Pennsylvania Supreme Court on Monday ruled that the state’s congressional map is the result of gerrymandering, to the point that it violates the state constitution. The court ordered that the state must draw a new congressional map ahead of the 2018 midterms, according to multiple reports. The decision is a major victory for Democrats, who argued the map had been gerrymandered to benefit Republicans. Republicans redrew the state’s map in 2011. The state’s general assembly must submit a new map to the governor for consideration by Feb. 9, according to the court order.